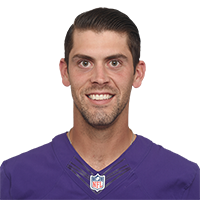 Published: Aug. 17, 2017 at 10:46 p.m.
Baltimore Ravens kicker Justin Tucker recovers a fumble on his own kickoff. Published: Dec. 12, 2016 at 10:58 p.m. Published: Jan. 4, 2016 at 04:17 p.m.
Baltimore Ravens kicker Justin Tucker makes game-winning field goal and celebrates.